A good pre-workout supplement can have a profound impact on the type of workout you end up experiencing. Going to the gym feeling sluggish is going to make your session less than it could be. Your strength will be lowered and generally you just won’t want to be there. A good pre-workout can change all this, it can take you from feeling ho-hum to having you ready to bite through the barbell, chew up the metal and spit it out as bullets. They increase energy, focus, endurance and even strength and have you crushing workouts time after time. 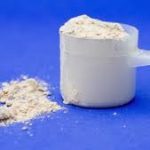 Let’s take a look in more detail at what pre-workout supplements do and what goes in to selecting a good pre-workout supplement. Taking a pre-workout can have many benefits that can help you improve your workout and can help take your fitness to the next level. Increased strength – Top pre-workouts have a few different ingredients that help you build strength. The main ones are creatine as well as Citrulline Malate and Betaine Anhydrous. 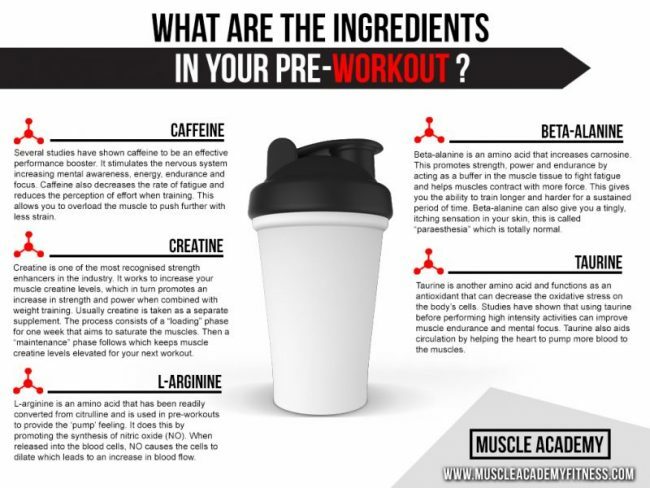 Make sure your pre-workout has at least 2 of these ingredients if you are looking to get stronger. Increased energy – This is usually the benefit that most people know about when it comes to pre-workouts. They can get your energy way up for you to crush your workout. The main ingredient that does this is caffeine anhydrous. Increased focus – This one is another big one. More focus can generally lead to better workouts as it can be tough to get a good workout when you are scatterbrained. The main ingredient to look for when it comes to focus is Rhodiola Rosea as well as L-Theanine and Mucuna Pruriens. Increased muscle pumps – Pre-workout are also great at increasing the muscle pumps that so many lifters are after. They increase you muscle pump by dilating your blood vessels allowing for more blood to flow in and create a massive pump. The best ingredients to deliver massive pumps are Citrulline Malate and L-Arginine. 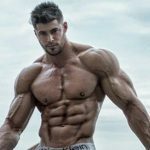 Citrulline Malate –This one is that is very common in most pre-workout supplements. Citrulline Malate is an amino extract that is extracted from watermelons. It has been shown to increase nitric oxide which leads to better muscle pumps. It has also been shown to increase strength as well. Caffeine Anhydrous – This is one that most everyone knows about. Caffeine gives you more energy of course. 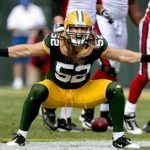 But it has also been shown to significantly increase repetitions to failure and readiness to invest effort in athletes. Betaine Anhydrous – This one is another key ingredient that has been shown to reduce fatigue when training as well as increase strength and raise HGH levels significantly. Taurine – This ingredient has been shown to decrease muscle soreness the next day after a good workout. Beta Alanine – This one is another key ingredient that has been shown to delay muscle fatigue. It has also been shown to increase lean muscle mass. 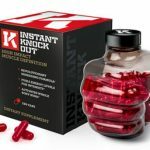 Red Beet Extract – This is another ingredient that has been shown to help provide massive muscle pumps during your workout. Rhodiola Rosea – This key ingredient is another fatigue fighter and also a mood enhancer. Coconut Water Powder – Keeps you hydrated while having a tough workout. Creatine – This one is a solid muscle and strength builder and one of our favorite supplements. We have already broken down the benefits of taking a pre-workout supplement as well as the best ingredients. Now it is time to take a look at the best pre-workout supplements on the market today. Transparent Labs nailed it with this one. 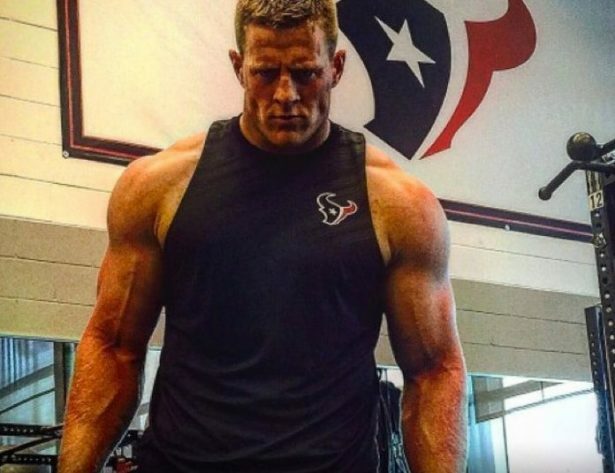 This is a newer pre-workout that is hitting the market like a sledgehammer. If you are looking to get a pre-workout that not only will have you ready to absolutely dominate the weights with laser focus, but will help add size as well then this is the one for you. 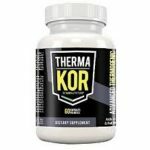 Transparent Labs has added a potent testosterone complex to this Series that makes it ultra-effective at helping you burn fat and build muscle. The PreSeries LEAN also has an incredible 1.5-gram beta-alanine dosage, this helps prevent fatigue so you can crush the weights for even longer without getting tired. This stuff had us lifting like absolute machines for a mind blowing 2 hours straight! It also has friendly dosages of Citrulline Malate, creatine monohydrate, Betaine Anhydrous, BCAA 2:1:1, Caffeine Anhydrous, Taurine and Choline. All of which are must haves in a pre-workout supplement. 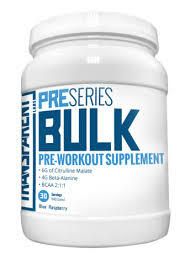 PreSeries Bulk also contains zero artificial sweeteners, colored dyes, unnecessary fillers, or harmful additives. The taste was freaking awesome too, the blue raspberry is easily one of the best flavors we have had. 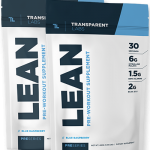 Another great part and possibly our favorite part is that Transparent Labs has also come out with PreSeries LEAN for those that are trying to bulk up and a PreSeries STIM FREE which we also liked for those that want a pre workout without the stimulants. All three are awesome products and they have you covered if you are trying to bulk up, lose fat or don’t want any stimulants. This is the best pre-workout we have tried yet. The focus and endurance that this product delivered were incredible. Not to mention the gains we had while on this product. If you are looking to slay the weights like never before then the PreSeries Lean is what you are looking for, we feel it is the best pre-workout supplement on the market today. You can also use the Coupon Code “TL10” to save 10% on your entire order. 4 Gauge is a pre-workout that is new to the market and it is a monster of a supplement. If you are looking to have superior workouts that build muscle, then this is the one for you. Looking at the ingredients in 4 Gauge and you can see why it is such a badass pre-workout. It has a nice 6000 mg dose of Citrulline Malate for great muscle pumps and increased strength. They also include 1000 mg of creatine monohydrate which as you may know is superior for developing strength and muscle growth. For increased energy, they used caffeine anhydrous at 150mg which is good enough to give you a nice energy boost but not so much that you feel like your head is going to explode. The also included L-Theanine which is an amino acid that has a calming effect as well as increased focus. On top of that they use a Beetroot extract that is one of the best natural sources for incredible pumps and extensive muscle endurance. Overall these are some pretty awesome and effective ingredients. 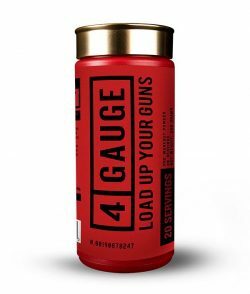 4 Gauge also does not use a proprietary blend and all of the ingredients are natural. They also have free shipping worldwide and a money back guarantee so there is no reason not to try this beast. Trust me, you won’t be disappointed. 1000 mg of creatine monohydrate for muscle gains. Bullnox is the first pre-workout to offer a testosterone boosting blend promoted to enhance aggression and the pump during exercise. Be careful not to hurt the weights while using this product, weights have feelings too. Also, if you are already an overly aggressive meathead you should probably be careful on this stuff not to do something stupid. 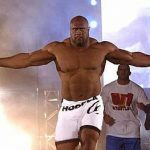 Aside from that Bullnox will get you ready to fight a dozen angry pit bulls if the need arises, or you could just get an awesome workout instead. Bullnox Androrush is available in 7 flavors, of which we found grape to be the best. Bullnox Androrush doesn’t give the tingly feeling like some others do so if you don’t like that then this is a good pick. Coming in fourth on our list of pre-workout supplements available is the Super Freak Pre-Workout by Pharmafreak. 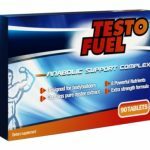 This one used Betaine Anhydrous as one of its main ingredients and it is a solid choice since it is a proven muscle builder and is also effective at reducing fatigue. They also use L-Tyrosine for increased focus and mental stimulation. Super Freak also uses caffeine for an energy boost and their patented Astragin Complex for fast and superior absorption. The main problem we see with this one is they use 4 complexes and each of them is a proprietary blend so we have no idea what the dosing is on much of the ingredients in the pre-workout. They also use artificial flavoring. The reviews on this one are pretty solid, most people say it has a nice boost of energy and focus. Overall this one is pretty good and comes from a very trusted name in the industry and is worthy of our fourth choice. 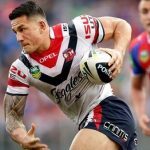 Visit pharmafreak.com for more information on this supplement. Pre Jym is one of the newer pre-workout supplements on the market, it was developed by fitness expert Dr. Jim Stoppani. This one is also a beast of a pre-workout. Pre Jym also has Citrulline Malate which we really like although it isn’t as much as Preseries LEAN has. It also contains optimum levels of creatine, taurine and betaine. We also like the fact that it contains BCCA’s as well. Pre Jym had a great taste and had us locked in for a solid hour of muscle pumping action. Stoppani definitely did his homework on this one and it shows. We preferred the cherry-limeade flavor over the raspberry lemonade, but both were delicious. We also like the proprietary blending and the straightforward labeling and ingredients. Nothing is hidden and everything that goes into it is cut and dry. Visit www.jymsupplementscience.com/jym for more information about this supplement. One thing you should try and look out for is proprietary blends. A proprietary blend is where the manufacturer throws a bunch of ingredients together and calls it a blend. The problem with this is they do not tell you how much of each ingredient is in the blend, just the size of the blend itself. This means you have no way of knowing how much of the ingredients you are getting. This is not the way it should be, the ingredients and the amounts of each should be straight forward and transparent so you know what you are getting and can avoid potential side effects. Proprietary blends are also a problem that seems to be getting worse also. Now it can be harder than ever before to find supplements of all kinds that are not proprietary blends, one of our choices above was even a blend. There are so many it’s very hard to avoid. When it comes to pre-workout supplements most of them are in the powder form rather than the pill form. Some supplements like testosterone boosters are better in pill form since they have an unpleasant taste, pre-workouts are better in powder form though because pre-workouts have a good taste and the powder form is more fast acting than pill form. You can also get a larger serving size with powders than you can with capsules unless you feel like choking down a few large capsules which most people don’t like. 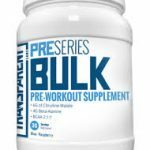 So, there you have the top five pre-workout supplements available on the market right now, our best choice being PreSeries Bulk. 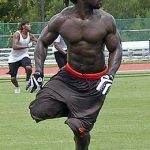 4 Gauge is another really good one to consider if you are wanting to bulk up and add muscle. They will both have you ready to train like you were the offspring of The Incredible Hulk and Wonder Woman.